For those who have complained about the growing “nanny state” laws in the European Union, it may not come as a surprise that your kid now needs a nanny to blow up your balloon or blow a whistle. Under new EU rules, balloons can no longer be blown up by unsupervised children under the age of eight as well as prohibitions on other party favorites for young children like whistle blowers. The EU is worried about choking hazards. The result is that children will now be told to look forward to their nine-year-old birthdays as a milestone when they can blow up a balloon. The EU is the ultimate detached bureaucracy — meting out regulations for EU nations that are often resented by citizens, who feel they have little voice in such matters. With the euro in danger of collapse, such regulations only harden the view of the future of the EU. In addition, the EU is worried about dirty teddy bears so it is issuing regulations on making all bears washable. The new regulations were delayed due to the need for supervised inflation of the balloons at the press conference. The EU officials decided for safety to go with one partially inflated balloon that was kept behind a rope line under the supervision of an armed guard to avoid accidental choking. It was then removed by a hazmat team at the end of the festive event. I would caution you against getting any EU stories from the markedly conservative, and anti-EU, Telegraph. Would you rely on Fox News for a reliable story on Obama or the Democrats? Bron, please come in and call this unnecessary regulation, so we can agree on something. I did not grow up in the snow…I have Buffalo Bayou in the medical center in Houston….a hill a cardboard box and grass…..We lived in a Hotel….with a farm in Humble….and nothing but dirt or gravel roads….and a bike…. I went up North….found out about snow….wine….sliding….skiing….sledding….I prefer snow and wine better than grass and a cardboard box…..and the grass was St Augustine…..
You are showing your age! Great link. The balloons can be dangerous. 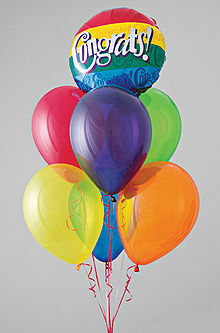 http://pediatrics.about.com/od/safety/a/1206_balloons.htm The American Academy of pediatrics issued a warning about the hazards of choking on balloons years ago. “other party favorites for young children like whistle blowers.” And then you have to hope that someone watching this unsupervised child is old enough to be a whistle blower. Does this mean…….we can’t roll kids down the street in a tire anymore? What about sledding down a hill with snow….or ice….Are people under the age of 18 allowed to perform in the Olympics…..
fwiw, your link no longer seems to work on ie, chrome, or opera. It is also worth noting that the EU is not unique in implementing regulations of this sort, and similar rules exist in the United States. So in fact the restrictions are neither new, nor dramatically more restrictive than child safety policies in force elsewhere. Although the claims made by the Telegraph doesn’t misrepresent the content of the EU safety directive, it does appear to exaggerate its case. The EU cannot in fact ‘ban’ the products mentioned, but merely require that warnings are carried on the packaging. Moreover, these are not ‘new’ requirements as the paper implies, and in fact have been in effect for over two decades.